As I write this, I look out onto our garden. Our garden is overgrown, and needs a serious weeding session. 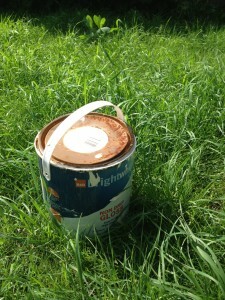 A tin of paint stands near the patio, rusting. For weeks I’ve been meaning to throw it away. I’m not sure what are flowers, and what are weeds… and I’m sure a Winnie the Pooh ornament lives somewhere in one of the flowerbeds. This is sadly one of the things I’ve learned in the past few months…. and relevant too in business marketing and growth. When it comes to doing something with your own business…. the natural approach is to have a pop at doing it yourself first, rather than getting in the professional (in the case of the garden, a gardener) who will do a proper job…. and charge royally for his or her time. Take the wall to my right, as i write…. It is red, it looks OK, but it would not be a great advert to advertise this house for sale. A professional painter will have done a better job than I did, and if a couple were walking round our house right now, and comparing it with another house similar in size and layout, which had been decorated by a professional (and not me) they might pick that house over ours. Silly little analogy, but put that into context when marketing a business… Why on earth would you ‘paint your own website’ for customers to compare it with competitors who got in a professional painter (web designer)? 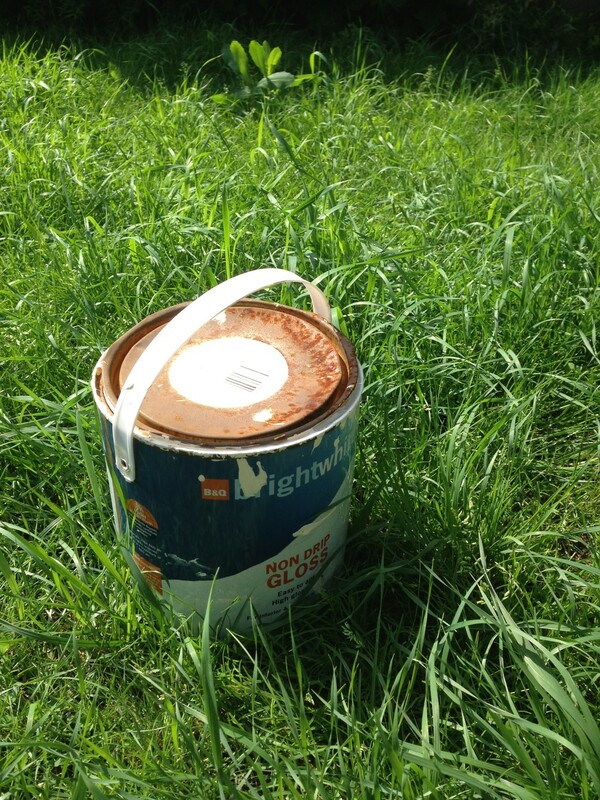 But essentially I’m throwing down words with reflect on the experience of bringing in a professional painter/gardener/designer to do our corporate websites, rather than doing them ourselves…. because for the first time ever, this is what we’ve done…. we’ve brought in outsiders to look at our business, reflect on our marketing, and design our web strategy and presence for us…. and help us…..
And quite simply, wow. What an experience it has been…. our business is growing. Before I was at Creative Learning Systems, I was at Cleveratom (2007 – 2011). Before Cleveratom, I was at Ultralab (2000 – 2006). At Cleveratom we would never have got in external help with our site. We always did our own website, involved our own people, did our own writing, did all our own stuff. At Ultralab (before Cleveratom) self sufficiency was burned into the ethos of the place… “we’re web people, we do our own website!”… and we did…. the sites looked ok as places to find research and reflect on the past, but I’d argue that they did not actively promote what we as teams could do… and quite frankly, were able to do brilliantly…. and I wonder just how many people who surfed on in, then surfed on out…. probably confused… probably thinking ‘what was that all about?’…. I think it fair to say, in the case of Ultralab the phone rang because of the existing reputation. I don’t remember once someone phoning in and saying “I’ve just seen your website, love it, I’ve got a pot of money, can we do a project?” (Ultranauts reading this, please do comment below if you know different! )… And as for Cleveratom… Never in the history of that company, did the phone ring and someone say “I’ve just seen your website, love it!, I’ve got a pot of money, can we do a project?”…. Both Ultralab and Cleveratom survived for different reasons. Ultralab, on reputation, Stephen Heppell was an amazing boss who travelled the world speaking at conferences… everywhere he went a queue of people would line up to talk to him, and engage with him about working with the lab…. and with Cleveratom we simply rode off the success of Ultralab, picking up Ultralab clients when the lab closed, and hunting down tenders and work ourselves… never did the phone ring cold. So to be frank… in reflection, both the Cleveratom and Ultralab websites were not 100% effective at generating new cold business…. maybe they were efficient at reassuring business we’d chased ourselves that we knew what we were taking about….. but cold business, no. Don’t get me wrong, the teams were awesome, the projects were amazing… but how we presented ourselves, our skills, abilities, products and services… to people that did not know us… and how we delivered an amazing experience….? In reflection, not good. I’ve been reflecting a lot on what makes a business successful, trying to understand what it is we do market ourselves well, and how to do more of that… and the whole experience with CreativeLMS has been a big eye opener. Building our CreativeLMS website last year was the first time we’d done a website dedicated entirely to a product, and it was the first time we pulled in an outsider to help lay out the site, meddle with the words, help formulate the message… and get it online…. ….and when the site went live…. the phone rang…. someone wanted to buy the system…. and ever since… that is what has been happening all the time… people have been searching the web for learning management system, finding CreativeLMS, going to the site… finding what they need to know, and in lots of cases, either sending a message or picking up the phone to find out more. So part of me wonders… what would happen if we got externals in, real marketeers to redesign and refit all of our sites…. and venture into ‘no mans land’…. and take on our ‘Corporate site’….. So lets take for example that main corporate website…. we’ve been so busy designing, building and implementing systems for other people, that we’ve forgotten to cut out lawn, paint the fence, and in some cases, feed the cat…. and on the main garden … that is really really bad…. Every now and again we might ramble on social media, or do a short ‘Ohhhh we must update you’ post… but in all honesty, we’ve been half baked and shockingly bad at tending our website, and I’m quite frankly embarrassed…. and it is mainly my fault. I’m really really looking forward to our new family of websites and how we are marketed online. I urge you to look at your own corporate presence online. If you’ve got a company, and you do your own website, you probably are not getting as much trade as if you got someone in to do it for/with you. All four of our new sites go live later this month. Please don’t look at the old ones (with the exception of CreativeLMS), they are not good. And getting back to the garden, after cutting the grass, and doing some rubbish weeding…. I’ll probably forget to wheel the green bin out for a few months for the fortnightly collection, but it won’t matter… nobody looks in there anyway.